Habitat: Semi-moist coniferous forest of Pseudotsuga menziesii, Pinus contorta, and some Abies bifolia; soil light loam. West aspect, slope 30%. 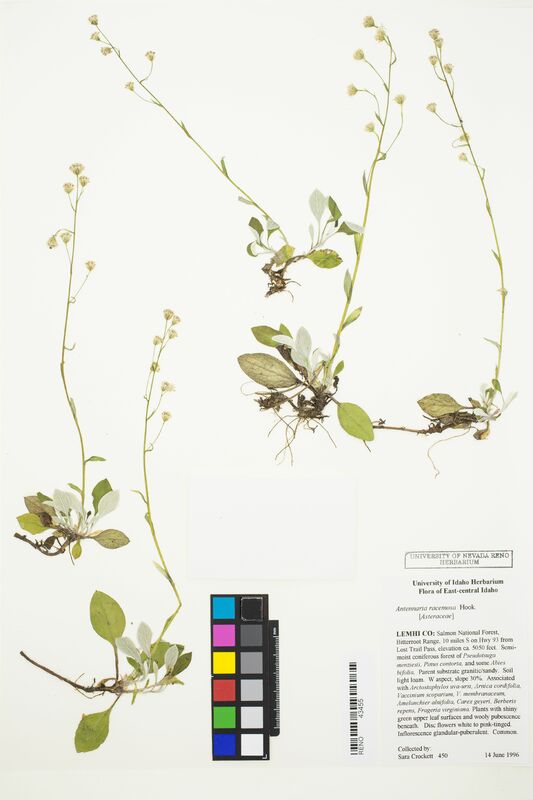 Associated Species: Arctostaphylos uva-ursi, Arnica cordifolia, Vaccinium scoparium, V. membranaceum, Amelanchier alnifolia, Carex geyeri, Berberis repens, Frageria virginiana. Description: Plants with shiny green upper leaf surfaces and wooly pubescence beneath; disk flowers white to pink-tinged. Inflorescence glandular-puberulent. Common.